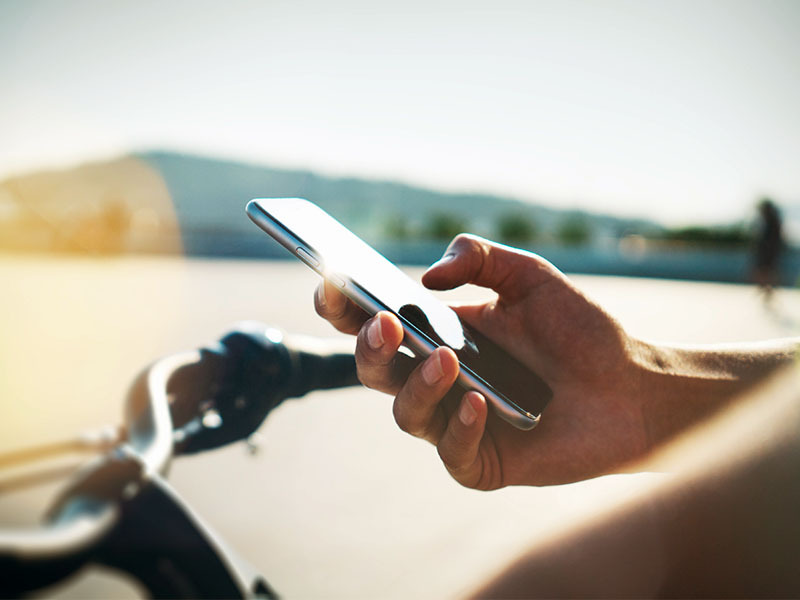 To secure your bike more effectively against thieves, your smartphone can be a reliable companion. Bicycle apps are little helpers for everyday life that you install on your smartphone. This allows you to monitor all kinds of different points that give you more security and confidence. The bandwidth has become very extensive. Apps instantly alert you to a push message on your smartphone when someone tries to steal your bike and trigger the alarm. This gives you the necessary security, even if you do not have your bike in sight. Important: An app alone does not protect your bike from theft, but is a supplement! Do not go without a good bike lock. Take advantage of the benefits of the new technologies. 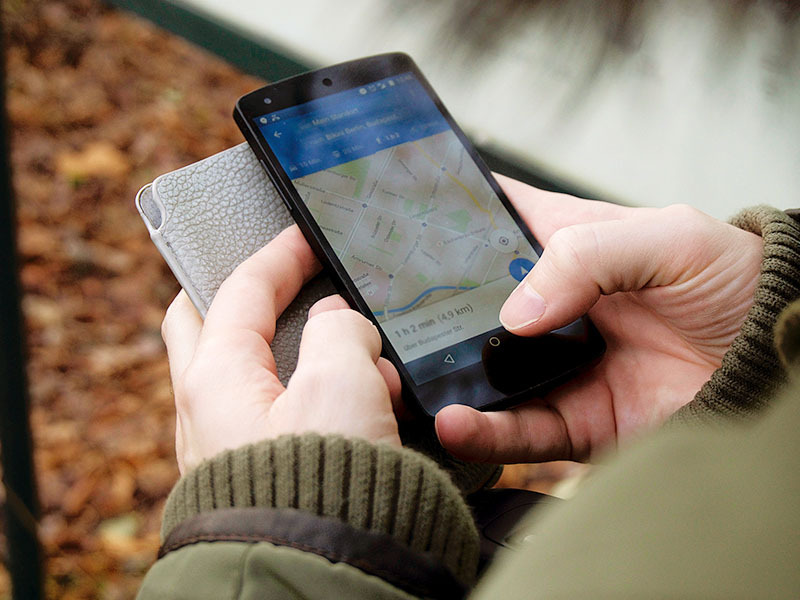 By connecting a tracker, a smart bike lock or navigation device to your smartphone, you get real-time location information on your phone. In combination with an alarm system, you will receive an alarm message directly to your smartphone if theft is attempted. With a bicycle app that controls the alarm, you can directly deactivate the triggered alarm, for example, if it is a false alarm. Depending on the app provider, it is possible to set the sensitivity at which the alarm will be triggered. In a calm environment, e.g. At the supermarket, it makes sense not to raise the alarm to the highest level of sensitivity. Most of these bike racks are heavily used and there may be unintended bumps on your bike. In addition, there is often the option of a "silent alarm" that notifies you by push message but does not trigger a loud alarm on the spot. A pure bicycle app indicating the location does not exist in the form. Mostly this function is integrated in more extensive bicycle apps. As a rule, not the location of the bike is stored directly, but that of the smartphone (which is in the immediate vicinity of the bicycle). However, if a Ortungsschip installed on the bike, then this determines the location of the bike and displays it on a map. In addition, tracking is also possible. To find your bike in the event of theft, you can choose one Attach GPS Tracker to your bike and determine the exact location via app and record the route. These bike apps in combination with a GPS Tracker work with a tracking technology (Link). On a card will You can see where the bike is and, if so, which route you have driven or the thief has taken. Should you use your bike with this technology We strongly advise against going on a search yourself. Go to the local police, they will take the case and also the GPS Consider locating. Compare the differences in functionality before buying a GPS tracker and its app to make your personal Ideas are covered. We would like to recommend these apps to you as you are on the subject Bike safety easy to belong. The organization ASB offers a free app for first aid. With many The app will provide hands-on advice if you have emergency procedures carry out. Pictures and short step-by-step instructions will assist you Emergency case or can be used to refresh your knowledge. The police offer a digital version with the bike pass app to record the data of your bike and keep it in case of theft. The police and the insurance are then informed quickly and easily. And you have all the important data to identify your bike. A GPS Tracker alone offers very little benefit. Especially when it comes to theft protection for your bike. Equip your bike with a smart bike lock from I LOCK IT and combine the benefits of a smart bike lock and an alarm. Together with the I LOCK IT App the result is a high-quality anti-theft device that can effectively prevent the theft of your bike at any time.